It's Not Work, It's Gardening! 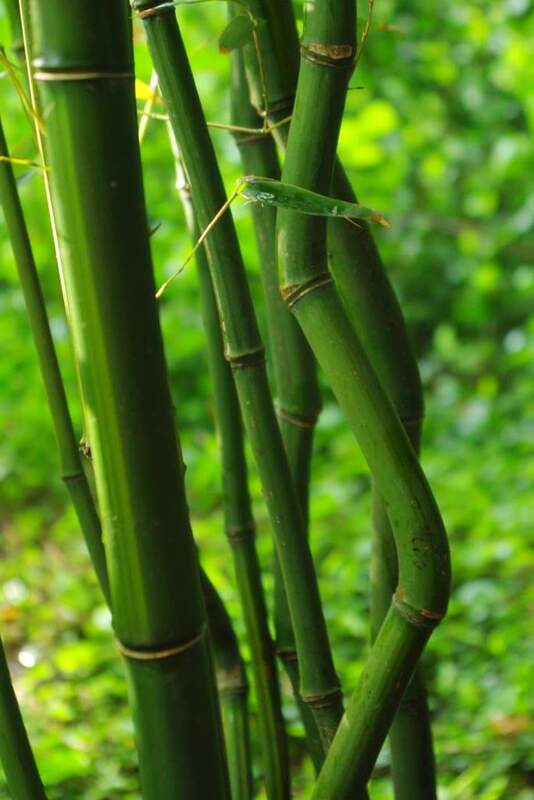 : Bamboo! 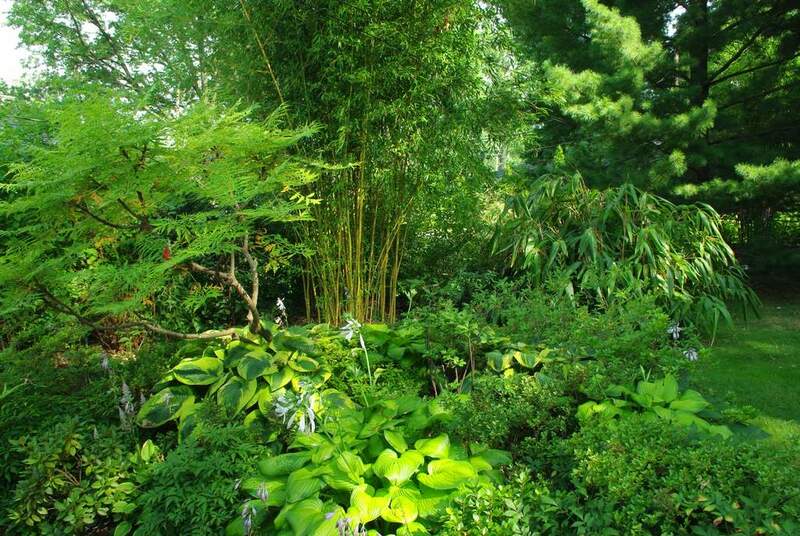 I spent a few hours helping my friend Mike dig some of his well-established bamboo this weekend. I've written about visiting Mike's garden before, but when you only see it once every couple of months or so, it's almost like walking into a different garden each time. 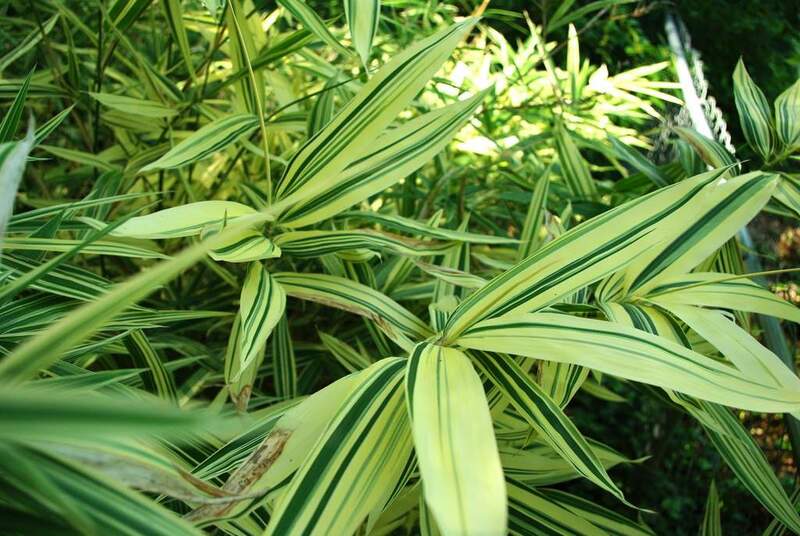 Different flowers blooming, some plants are bigger, some have leafed out more -- some have already gone dormant. Just beautiful! We're not sure what species this one is. 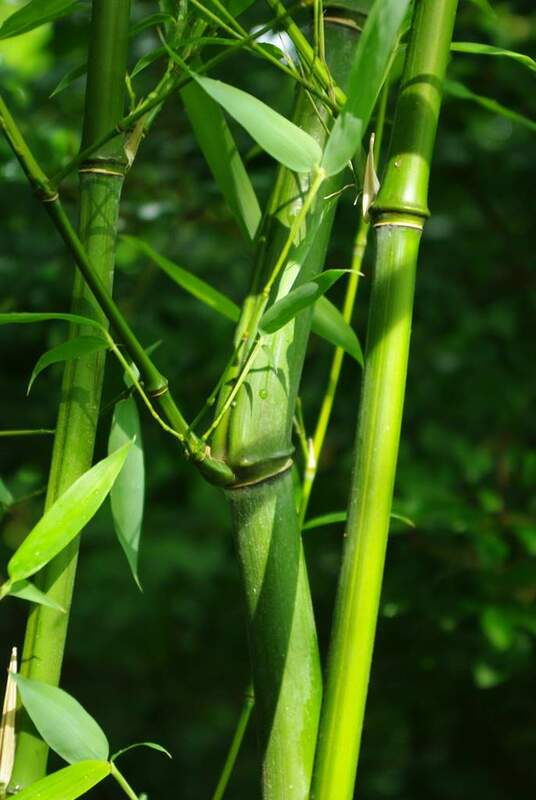 Since Mike got most of his bamboos long before the Internet arrived and made bamboo research so much easier, he's only been able to identify some of them recently. 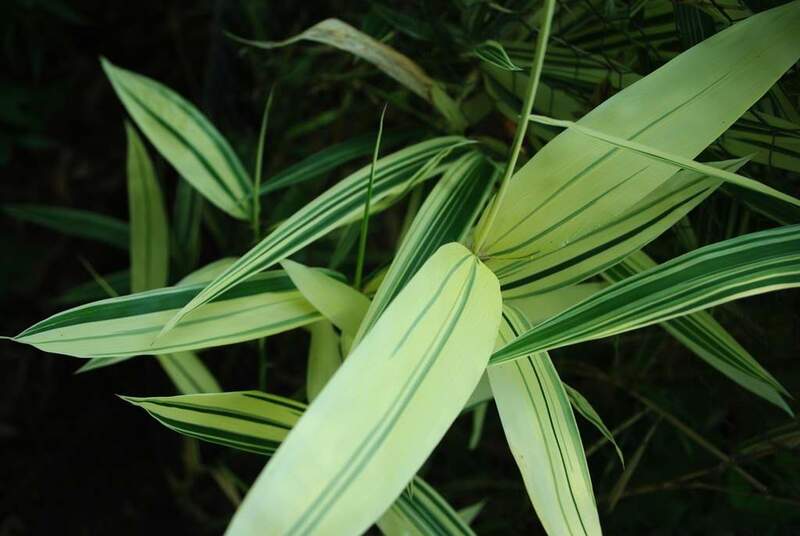 This is one of the last left to ID. It's a pretty one, whatever it is. 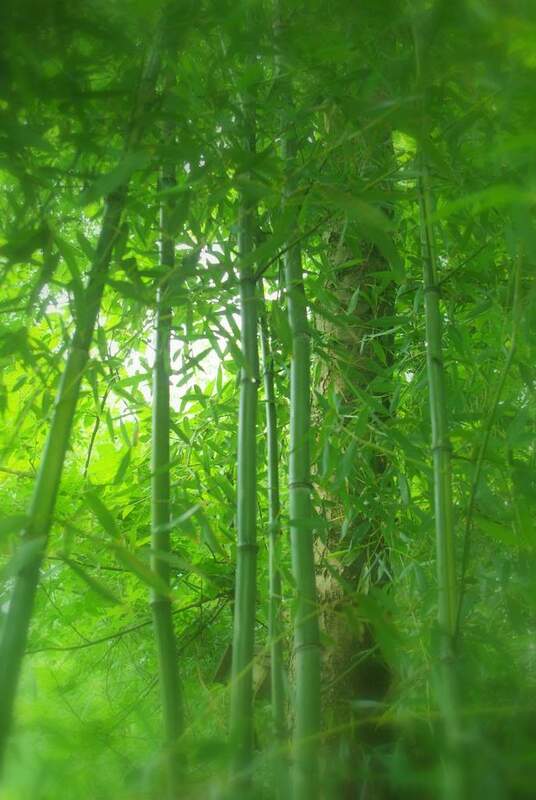 The bamboo that I'll be spending the most time digging today is not easy to get a photo of since it's back in the corner behind one of the big pine trees. 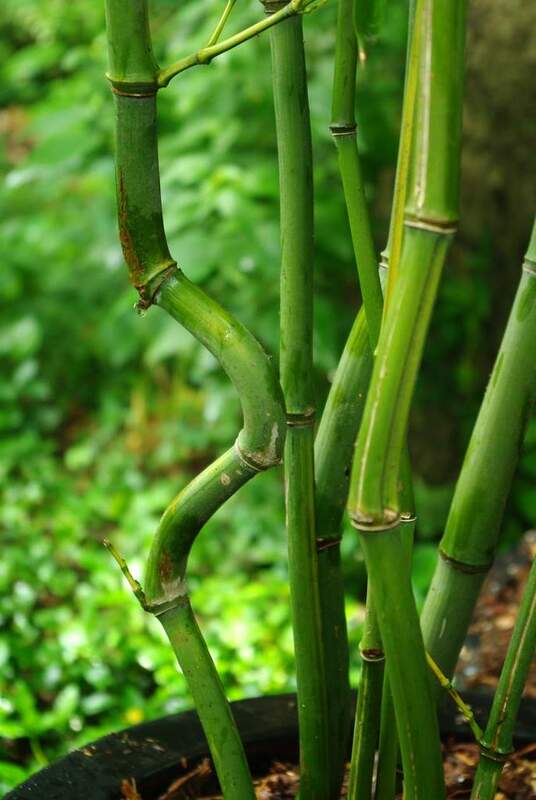 Besides, I've already chronicled the bamboo digging process so no point in repeating myself. 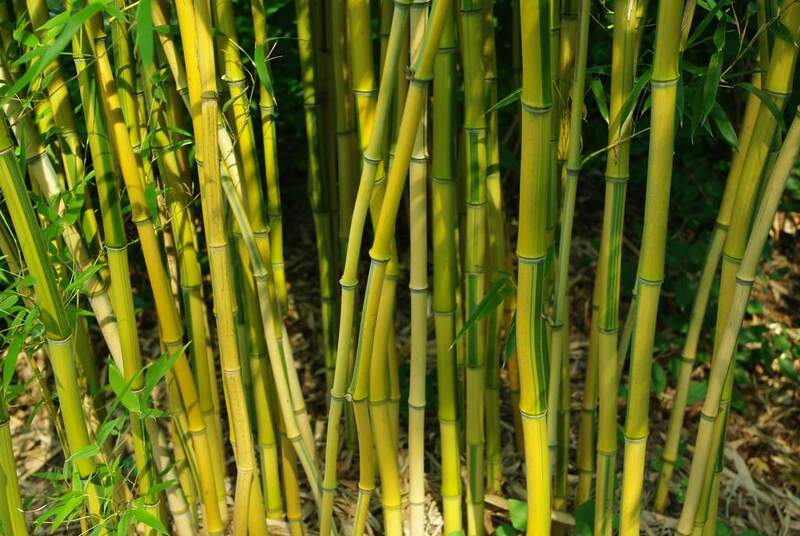 We'll be digging out a "Yellow Groove" bamboo -- Phyllostachys aureosulcata. 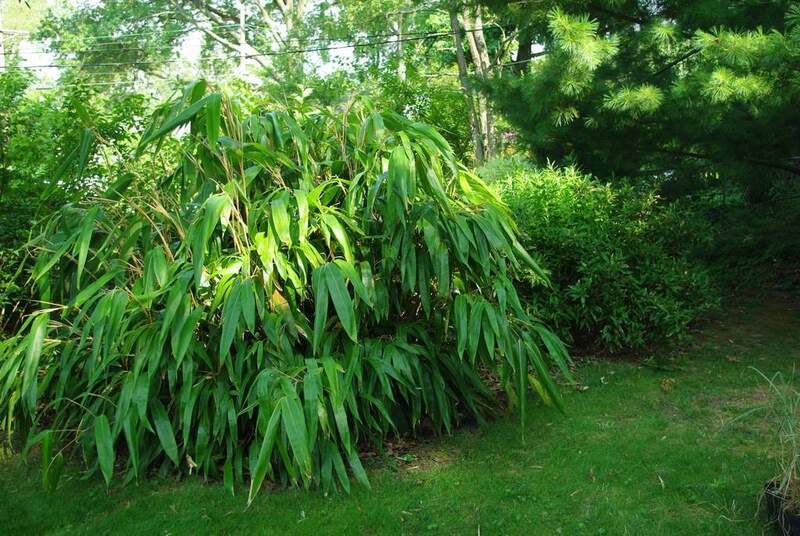 This is probably the most common bamboo growing in the St. Louis area, and Mike wants to dedicate his limited growing space to more unusual species. So I won't talk about the hours of digging, chopping, and prying we spent to get these out. Instead I'll just show the final product -- the plants themselves. It was hot and humid, and although we were in the shade and there was a nice breeze blowing, it was soon time for a fresh headband and shirt. Too bad I had only brought one of each (except for a dry shirt for the ride home), so was stuck with the wet ones. By the end of the 3 hours I spent there, I was filthy, soaked, exhausted, and ready for some lunch. Since Mike was letting me take some of the divisions we dug, I had to remember to save some energy for getting the plants out of the truck and potting them up at home. These were 10'+ tall plants with big, heavy rootballs -- they would take some effort to get planted. As I was potting these up (after lunch and a change of clothes), it started raining. Just a few sprinkles at first, very slowly increasing to a drizzle, eventually reaching a nice medium shower. 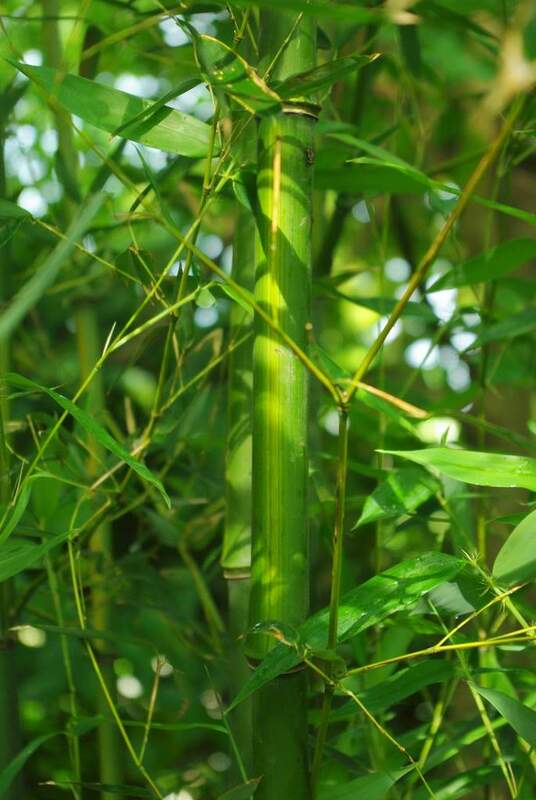 Common or not, this is an attractive bamboo, especially if you like the zig-zags it sometimes develops in the lower portions of the culms (I do!). 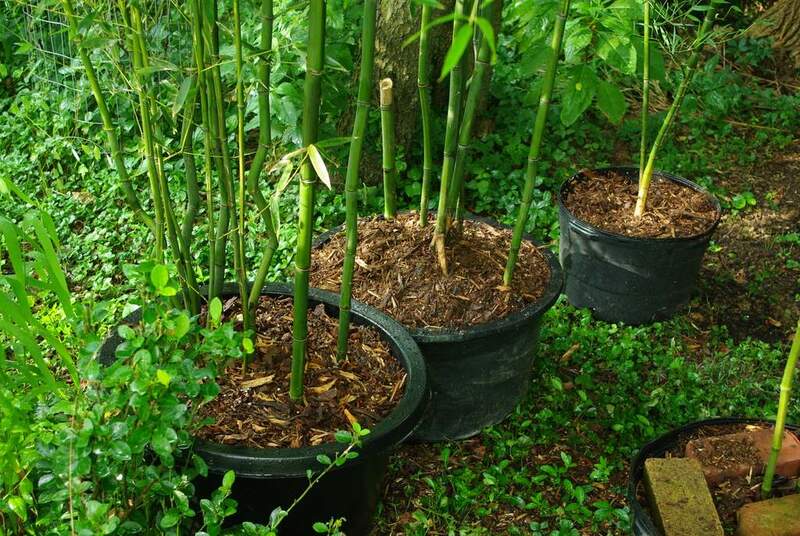 For these beautiful plants I don't mind getting filthy, drenched (twice), and exhausting myself -- digging up bamboo and potting it up again is fun! I'm not going to do it every weekend though.